Photographs by Hugo Glendinning. Preview showing of BECAUSE OF LOVE at Laban theatre, London. April 2012. View gallery here. Franko B interviewed by Brian Catling for European Live Art Archive. 7 min extract from 55 min total. 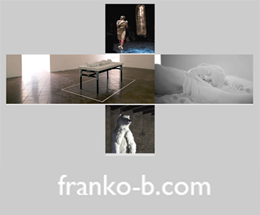 Blog launched for BECAUSE OF LOVE - a new performance work by Franko B. All news, tour dates and documentation will be posted here. 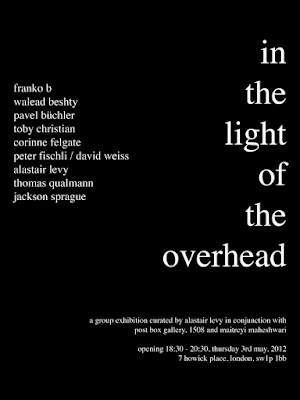 Group Show curated by Alastair Levy in conjunction with Post Box Gallery, 1508 and Maitreyi Maheshwari. 7 Howick Place, London, SW1P 1BB. 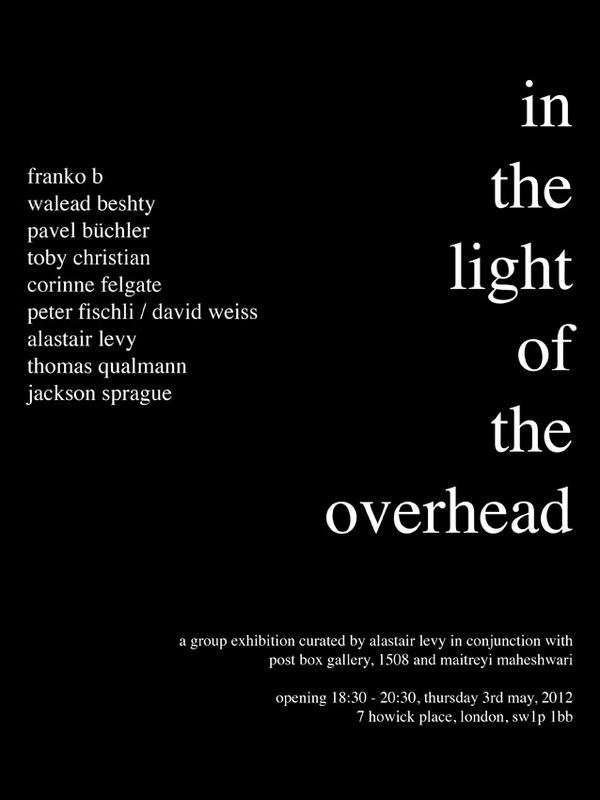 Franko B, Walwad Beshty, Pavel Büchler, Toby Christian, Corinne Felgate, Peter Fischli / David Weiss, Alastair Levy, Thomas Qualmann, Jackson Sprague. Franko B will present his new multidisciplinary performance, BECAUSE OF LOVE at Lancaster Institute for the Contemporary Arts on Friday 11th May 2012 @ 7.00 pm. Tickets £10 (adults). More information and booking here. The piece will then be shown at Colchester Arts Centre on 27th May @ 7.30pm (doors open at 7.00). Tickets £10 / £5 concessions. More information and booking here. Because of Love is a major new performance piece by Franko B, aiming to bring his practices to new audiences - not only within the context of visual art, but also dance and theatre. Collaborating with some fantastic artists from different fields to realize the piece, concerned with childhood, humanity, inhumanity, love and grief. Because of Love is loosely autobiographical, drawing upon personal and cultural memories from different times in Franko B's life. 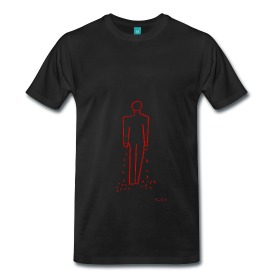 Central to the work is the idea of the sentimentality of memory, the emotional charge and romanticism often applied to the experience of remembering. Ambitious in its scale and complexity, bringing together elements of human presence, projected video, live music and lighting to weave a loose, non-linear narrative. The performance will involve a duet betwixt Franko B and a life-sized, mechanical polar bear: not so much as a tightly controlled piece of choreography, but more as an instinctive response to the dynamic mis-en-scene and contexts in which the work is shown in. The first two public presentations of BECAUSE OF LOVE will take place in May 2012 at LICA (Lancaster Institute for the Contemporary Arts) and Colchester Arts Centre - more details to follow shortly.